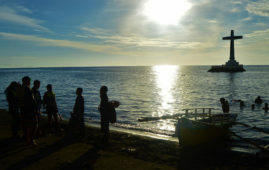 An American marine biologist has taken the initiative to clean up a clogged gutter in one of Davao City’s most crowded barangays (villages). 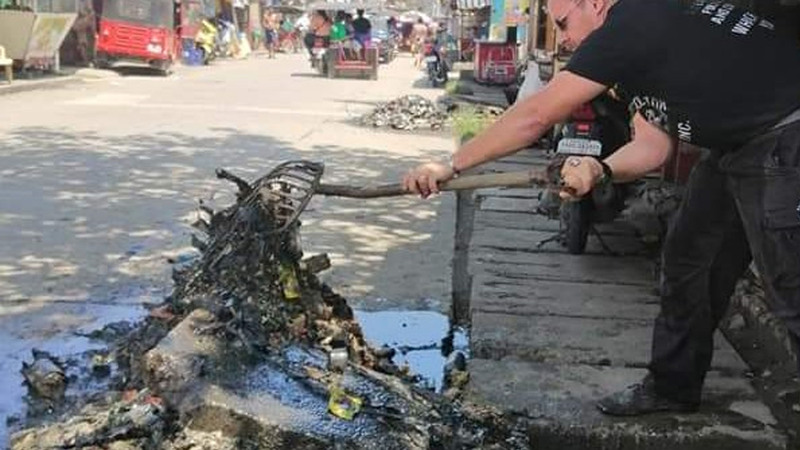 Even under the heat of the sun, Darrell Blatchley rakes away the accumulated trash of plastics that piled up in the gutter on a street in Barangay Bucana. This, after a beaked whale was washed ashore and was found to have ingested about forty kilos of plastics.